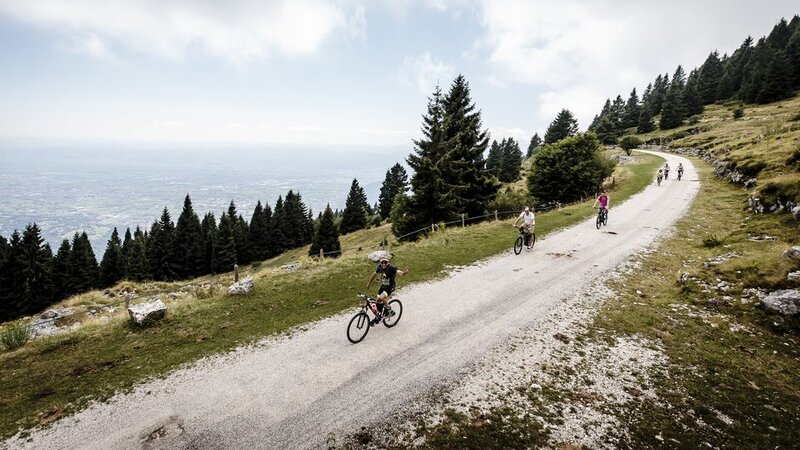 The Col del Sole Bike Hotel puts at your disposal its fleet of E-BIKE to make wonderful excursions without the work, reaching any destination on the Altopiano di Asiago-Asiago, enjoying the feeling of freedom that only the bicycle you can give. An ideal territory for being dealt with an E-BIKE through hundreds of kilometres of roads that lead from the Plateau basin up to two thousand meters of altitude. An excellent road system that allows you to explore a unique area for natural features, historic and scenic. With the E-BIKE you can ride longer and face challenging gradients in order to reach any destination. The Col del Sole Bike Hotel puts at your disposal its own guides, helmets, GPS and free apps for smartphones where to upload the best routes suggested by Highland Outdoor, car seats for children, little camels and follow-me tandem. Bike Shuttle service we can deliver E-BIKE directly to your front door or at the hotel and B & B where you are staying. Outdoor plateau has chosen an extensive network of partners, including shelters and other rental points on which we can rely during your ride. You don't have to worry about then that a technical problem to the bicycle can ruin your day: thanks to the emergency number you give assistance wherever you are. 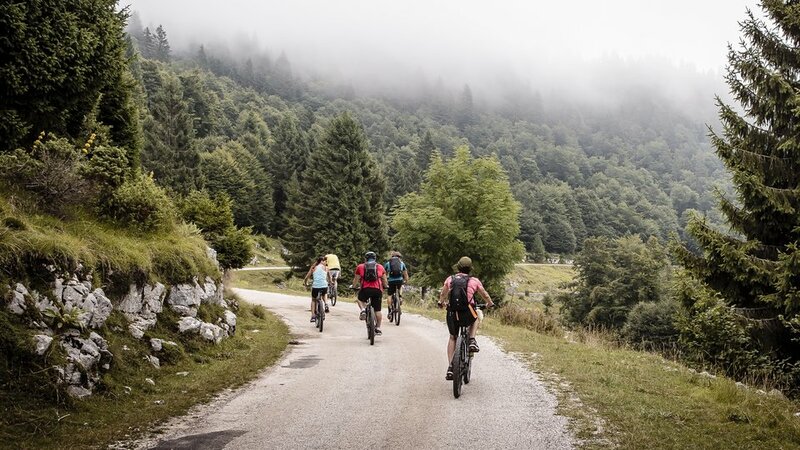 Our E-MTB are the answer for your holiday on the Asiago plateau-seven municipalities.